At the Iolani Classic, in Honolulu, Quinn Cook was named the tournament Most Valuable Player as Oak Hill won the tournament with a 4-0 record. He scored 22 points and dished out five assists as Oak Hill defeated Montverde 58-44 in the championship game. Here is a link to another championship game recap. Cook led Oak Hill over Moanalua 108-33 with a 17 points 16 assists double-double performance in opening round action. Here is a video clip of the game action. In the quarterfinals, Cook scored 31 points and dished out seven assists as Oak Hill defeated host Iolani Raiders 81-53. Oak Hill defeated Dr. Phillips, 81-51, in the semifinals. The City of Palms Classic in Ft. Myers, Florida provided plenty of action for Duke commits and recruiting targets. Austin Rivers, Marshall Plumlee, Shabazz Muhammad, Alex Murphy and Kaleb Tarczewski were all in action at this tournament. Duke Head Coach Mike Krzyzewski and Associate head Coach Chris Collins were present in Florida checking out the prospects. Austin Rivers headed into this prestigious tournament looking to earn a championship as Winter Park’s previous best finish was 3rd Place. However, it wasn’t to be as Winter Park finished in 4th Place after losing to Milton, 63-62, in the semifinals, and to Mater Dei, 84-66, in the 3rd Place game. Rivers was named to the All Tournament team after scoring 28, 42, 25 and 28 points in four games for an average of 30.75 points per game. Winter Park defeated Riverside Academy, 75-63, in the opening round and Dwyer, 76-64, in the quarterfinals. Christ School won two games and lost two games in the tournament. Marshall Plumlee recorded 11 points, 14 rebounds and five blocks double-double in a 77-62 victory over Christ The King. In a 59-54 loss to Mater Dei, Plumlee scored nine points, while he scored five points, grabbed eight rebounds and blocked six shots in a 73-61 win over Whitney Young. In their fourth tournament game, an 86-77 loss to Dwyer, Plumlee scored 12 points. Plumlee also won the tournament dunk contest. Here is a video clip of his performance. In games last week, Plumlee recorded two double-doubles with 14 points and 10 rebounds, and 11 points and 14 rebounds. Christ School won both games. Shabazz Muhammad and Bishop Gorman HS played three games at the City of Palms winning once and losing twice. Muhammad scored 19 points as Bishop Gorman defeated North Port 62-48 in their opening game. Bishop Gorman lost to Dwyer, 72-63, and to Riverside Academy, 59-51. Muhammad scored 31 and 29 points, respectively, in those two losses. St. Mark’s played two games in the Signature Series division of the City of Palms tournament. They dropped their first game, 65-41, to Academy of New Church. Kaleb Tarczewski scored 10 points and grabbed eight rebounds, while Alex Murphy was held to four points. Murphy was whistled for four personal fouls so his playing time was limited to 22 minutes. In the second game, St. Mark’s defeated Westchester Country Day, 81-36. Murphy scored 18 points and Tarczewski added 13. St. Mark’s outscored Westchester 51-10 in the second half. At the Chick fil A Classic in Blythewood, South Carolina, Benedictine struggled to a 4th Place finish in the Classic I Bracket. Benedictine went 1-2 at the tournament with Mike Gbinije scoring 18, 22 and 21 points in the three games. In the opening round (quarterfinals), Benedictine defeated Charlotte Christian 53-41. In the semifinals, United Faith defeated Benedictine 71-61, and in the 3rd Place game, Benedictine lost to Norcross 54-43. Moving on from the tournament action to some general links, here is a report from last week on St. Mark's teammates, and Duke recruiting targets, Alex Murphy and Kaleb Tarczewski. Scroll down to the middle of the article to find the germane verbiage. Here is a nice article from the Atlanta Journal-Constitution on Coach Krzyzewski's visit to observe Tony Parker, while the Las Vegas Sun has a similar article on Coach Roy Williams' watching Shabazz Muhammad. I watched Marshall Plumlee (7'0" 215) and Christ School take on Quality Education Academy via streaming video on the Internet, and I was pleased with some of what I observed. Plumlee ended the game with 10 points, including going 4 for 4 from the free throw line, and four blocked shots. Quality Education Academy won by a score of 77-65 in a game that wasn't that close. The Fighting Pharaohs dominated the Greenies for the last three quarters after initially falling behind 12-3, but rallying to end the 1st quarter in a 15-15 tie. QEA utilized pressure defense and quick hands to exploit Christ School’s ball handling skills. Plumlee worked hard in the low post on defense and was effective early in maintaining his position. Christ School played both zone and man-to-man defense in the game. Later in the game, Quality Education Academy repeatedly attacked down the middle of the lane and dished passes to the baseline for easy baskets as Plumlee attempted to step up and defend the ball. On offense, Plumlee operated mainly out of the high post and delivered a couple of nice passes for assists. He also demonstrated the ability to drive the lane and score or draw a foul and convert from the charity stripe. This is how he scored 6 of his 10 points with the other two baskets coming from a dunk off a pass into the low post and a nice 10-12 foot jump shot in front of the free throw line. A key point, which must be communicated, is the Greenies are a perimeter oriented 3-point shooting team that makes minimal effort to feature Plumlee in their offensive sets. Watching this game, I believe he made the most of his scoring opportunities. The broadcast commentator commented while most high school seven footers are clumsy, Plumlee was quick off his feet and athletic. The commentator also remarked Plumlee's weakness on defense was a propensity to leave his feet too often on pump fakes and passes. He needs to gain much more strength to be effective in the ACC and he will need to work on his left hand. Plumlee caught a pass in the low post and moved across the lane attempting a left handed jump hook, but he missed badly - air ball badly. Moreover, he was whistled for four fouls in the game as the quicker QEA players’ maneuvered by him with ease at times. One of his four fouls was for an illegal screen on an inbounds play and he committed a block attempting to break-up a fast break. The other two fouls were a direct result of him being out of position on defense. On the offensive end of the court, he was not effective rebounding the basketball. Overall, I was impressed with Plumlee's play. He obviously still needs to improve in several areas; however, he demonstrated good skill sets and athleticism to complement his 7' 0" size, including a length of the court outlet pass off a defensive rebound, so I am optimistic he will be a valuable addition to the Blue Devil roster. Earlier in the week, Plumlee scored 14 points and grabbed 18 rebounds as Christ School defeated Providence Day School 82-54. The day after the QEA loss, Christ School bounced back with a 94-60 victory over Ensworth. Plumlee’s stat line was nine points, eight rebounds and six blocked shots. On Saturday afternoon, Quinn Cook (6’1” 160) and Oak Hill took on Quality Education Academy and once again I took advantage of streaming video, which was available on the Internet, at the IHigh website. Cook scored 13 points as Oak Hill came storming back, in the 4th quarter, from a double-digit deficit to defeat QEA 73-71. Offensively, Cook is best described as smooth. He is comfortable with the ball in his hands and delivers crisp passes to teammates with ease. Cook also demonstrated the ability to attack the middle of the defense with nice drive and dish skills. Cook orchestrates the offense with purpose quickly passing the ball to teammates or driving with the ball. He does not repeatedly pound the ball into the court without going anywhere, which is a weakness many young point guards demonstrate. In this game, his outside shot was not falling as he only knocked down one 3-pointer even though he had several open looks. Cook has a reputation as a deadly 3-point shooter, he went 11-26 (.423) this past summer at the FIBA U17 World Championship, so I believe last night was an anomaly. All players have an off game shooting from time to time. Defensively, Oak Hill switched up between man-to-man, a 2-3 zone, and a half court trap. Cook was aggressive in the zone and half court trap, but in the man-to-man he did not exert a tremendous amount of on ball pressure choosing instead to play off his man a bit. This could be a factor of the specific match-up or perhaps it is indicative Cook is still not fully recovered from his recent knee surgery. Overall, Cook played a solid game and impressed me as a player who will have an immediate impact at the next level. While Cook did not demonstrate blazing speed a la Kyrie Irving or a deadly outside shot a la Andre Dawkins, he did demonstrate excellent ball handling skills and poise. With Irving most likely departed to the NBA, Cook will challenge to start and, at a minimum, be a significant contributor off the bench as a freshman. At the Rotary Tip-Off Classic, Austin Rivers (6’5” 180) was named Tournament MVP with 28 points, 10 rebounds and four assists performance as Winter Park defeated Orlando Christian Prep 72-40 in the Championship game on Saturday night. On Thursday, Rivers scored 22 points on 8 of 12 shooting (3 of 6 on threes) as Winter Park defeated Spruce Creek 81-43, in the quarterfinals. On Friday night, in the semi-finals, Winter Park defeated Evans 74-55. Austin Rivers scored 15 points in the game. In Richmond, Michael Gbinije (6’6” 180) was named Tournament MVP as Benedictine defeated Hopewell, 59-52, to win the Rebel Invitational. Gbinije scored 15 points in the Championship Game. He scored 28 points to lead Benedictine to an 80-76 victory over Meadowbrook in the opening game, while in the semifinals, Gbinije was held to five points, but Benedictine advanced to the championship game with a 59-45 victory over St. Christopher’s. Rasheed Sulaimon (6’3” 180) scored 24 points on Thursday evening but Strake Jesuit dropped a 59-52 decision to Killeen Harker Heights in the opening round of the Aldine ISD Invitational. On Friday night, Sulaimon scored 20 points as Strake Jesuit defeated Waller 77-41. Strake Jesuit defeated Rosenberg Terry, on Saturday evening, 52-47. Sulaimon is averaging 22.3 points per game through the first six games of the season. He has 18 assist against only five turnovers. Rodney Purvis (6’2” 165) scored 18 points to lead Upper Room Christian Academy to a 75-61 victory over St. David's on Thursday night. Purvis scored 14 of his points in the 1st half. In Wisconsin, J.P. Tokoto (6’6” 180) was held to 11 points as Milwaukee Marquette defeated Menomonee Falls 58-55 on Friday night. Tokoto was in foul trouble early and sat out most of the 1st half. On Saturday night, Tokoto exploded for 23 points including 14 in the 3rd quarter but Menomonee Falls lost to Milwaukee Washington 95-85. Finally, wrapping up this week’s edition is Tony Parker (6’9” 265) and Miller Grove who defeated Milton 71-61. Milton was considered the number one team in the nation by several polls including USA Today. Tony Parker recorded a 20 points and 12 rebounds double-double in the big win. In this video interview, Parker credited defense as the key to the victory. Miller Grove improved to 4-0. 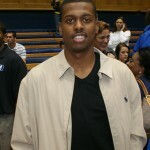 Blue Devil Nation will once again be covering High School Hoops during the 2011 season. As we've done the past couple of seasons, we will scour the Internet in order to provide the Duke faithful with player updates, game results, links to articles and box scores, along with our critical analysis and commentary on high school action for players committed to Duke as well as recruiting targets. This season our High School Hoops articles will once again be posted as premium content so we invite all visitors to join Blue Devil Nation, kick back and allow us to do the heavy lifting, so you, our faithful readers can enjoy this one stop site for Duke related high school basketball coverage. This coming season, we will be keeping tabs on the following committed Duke players: Austin Rivers (Winter Park), Michael Gbinije (Benedictine), Quinn Cook (Oak Hill) and Marshall Plumlee (Christ School). Additionally, we will closely follow recruiting targets Alex Murphy (St. Mark’s), Shabazz Muhammad (Bishop Gorman), Tony Parker (Miller Grove), Justin Anderson (Montrose Christian), Rasheed Sulaimon (Strake Jesuit), Rodney Purvis (Upper Room Christian), Kaleb Tarczewski (St. Mark’s), and J.P. Tokoto (Menomonee Falls HS). [private] Austin Rivers (6’5” 180) eclipsed the 2,000 points scored mark as Winter Park High School defeated Montverde 102-92 this past Friday night. Rivers scored 46 points in the game. On Saturday, Winter Park lost to Dr. Krop 76-55 with Rivers scoring 19 points in the losing effort. Winter Park will host the Rotary Tip-Off Classic starting Wednesday evening. Benedictine started their season off with an 89-58 victory over St. Mary’s Ryken. Michael Gbinije (6’6” 180) scored 23 points. Gbinije scored 18 points and was named Most Outstanding Player of the MAIT Tournament as Benedictine defeated St. Maria Goretti 68-33. Gbinije dished out five assists in the victory. Marshall Plumlee (7’0” 215) and Christ School are off to a 5-0 start including an impressive 98-82 victory over Westchester Country Day which features Quincy Miller and Duece Bello. Plumlee recorded a 16 points and 10 rebounds double-double in the victory. On this past Tuesday evening, the Greenies blew out Asheville School 88-36. Plumlee had another double-double with 10 points and 10 rebounds. Rodney Purvis is averaging 31 points per game as Upper Room Christian Academy is off to a fast start this young season. His season high is 46 points, which he scored in an 85-83 victory over Greensboro Day. 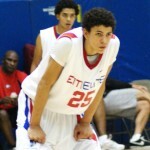 Purvis is a 6’2” shooting guard who recently reclassified to the Class of 2012. He was previously rated as the number three player, in the Class of 2013, by Scout. Here is a link to the schedule for Strake Jesuit College Preparatory where Rasheed Sulaimon plays in Houston. The Crusaders are off to a 3-1 start. Sulaimon is a 6’3” shooting guard who highly desires to play his college ball in Durham. The Miller Grove Wolverines opened their season with a 79-57 victory over Rockdale County. This is Tony Parker’s school. 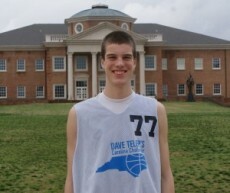 Miller is a 6’9” 265 center who is high on Duke’s wish list. 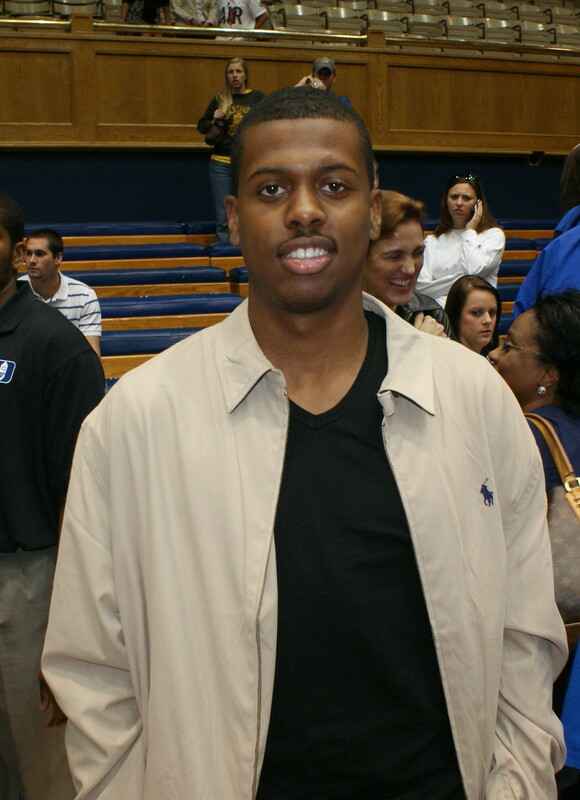 The Blue Devils desire a big man in the Class of 2012. A brief team overview is available here. The Holiday tournaments are just around the corner and for those who desire to engage in some preparatory reading here are links to the websites for the City of Palms Classic, GlaxoSmithKline Holiday Invitational, Chick-fil-A Classic and Les Schwab Invitational. There are Duke commits or recruiting targets participating in all four tournaments. schedules. This edition of High School Hoops starts out in our nation's capital with Gonzaga High School and moves around the country with updates on Duke's future players and recruiting targets. Tyler Thornton has demonstrated an ability to get to the free throw line in recent games. He has taken advantage of the opportunities by connecting on 35 of 43 attempts over his last four games. His 81.4% success rate during these four games is a 11.7% improvement over the 69.7% (23 of 33) he shot during the first nine games. As a point guard who handles the ball for major minutes, it is important for Thornton to punish opposing teams by capitalizing on scoring opportunities from the free throw line. By comparison, marquee Duke point guards Tommy Amaker, Bobby Hurley, Steve Wojciekowski, and Quinn Snyder had career free throw percentages of 79.1%, 77.6%, 73.2%, and 70% respectively. Comparing a four game streak in high school to career performances at the collegiate level is quite a stretch but the objective is to point out that Thornton is demonstrating a skill set that could pay huge dividends at the next level. Thornton scored 25, 20, 21, and 13 points in the four games with 44 percent of those points coming via free throws. He is averaging 16.3 points per game over the first 13 games. Gonzaga is currently 11 - 2 and riding a four game winning streak. Moving on to Norfolk, Andre Dawkins has opened up 2009 with three solid scoring performances. On January 3, he dropped in 24 points as Atlantic Shores defeated Trinity Episcopal 93 - 43. 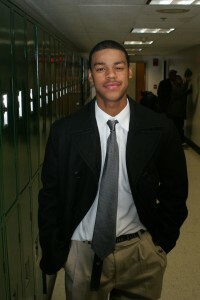 In a 86 - 34 victory over Hampton Christian, on January 6, Dawkins scored 20 points. And on Friday night, January 9, he scored 21 points as Atlantic Shores knocked off Portsmouth Christian 86 - 51. Out in Iowa, Harrison Barnes scored 18 points including 12 in the first quarter as Ames defeated West Des Moines Valley 89 - 31 on Tuesday evening. Barnes was 5 - 7 from the charity stripe and knocked down one three pointer in the game. Ames High School won their first seven games by an average of 30 points, on Friday night the Little Cyclones continued their dominating ways by defeating Marshalltown 69 - 40 and improving to 8 - 0. Barnes scored 22 points in the victory. Marshalltown defeated Ames in the state playoffs last year. On to Seattle and Josh Smith who scored 16 points as Kentwood defeated Auburn 64 - 43 on Tuesday night. On Friday night, Kentwood defeated Kentlake 62 - 47. Smith exploded for 36 points in the game. Josh Smith is the leading scorer in the South Puget Sound League 4A at 24.6 points per game. In Raleigh, Ryan Kelly scored 23 points on Wednesday evening as Ravenscroft defeated Word of God 68 - 59. John Wall had 17 points in a losing effort while future N.C. State player C.J. Leslie chipped in 20. In an overtime game, on Friday night, Forsyth Country day defeated Ravenscroft 53 - 51. Ryan Kelly scored a season low 11 points and missed a three point attempt with one second left. Ravenscroft is back in action against Cardinal Gibbons on Saturday at 8 pm. Staying in North Carolina, Mason Plumlee had another big game recording a double-double of 21 points and 13 rebounds as Christ School defeated Cannon School 82 - 60. This road victory improves Christ School's record to 19 - 0. This edition wraps up by checking in on Brandon Knight down in Florida. On Wednesday evening he scored 36 points as Pine Crest School defeated Benjamin 88 - 69. Knight recorded eight assists and made five three point shots in the game. Knight and Pine Crest will be back in action on Saturday evening at the Dr. Martin Luther King Jr. Classic.